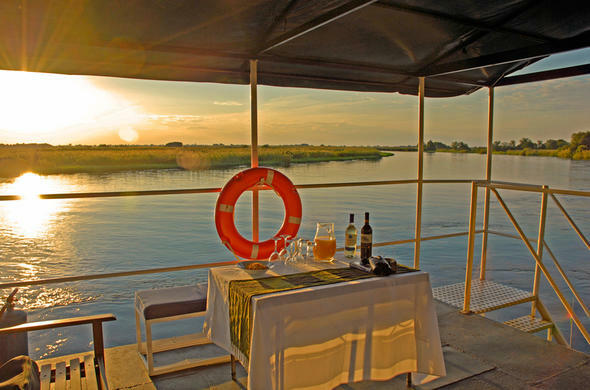 Well known among fishermen and birders alike, the Okavango Panhandle has never been explored as a safari destination in its own right but recent developments have high-lighted the variety of attractions of this unique area. 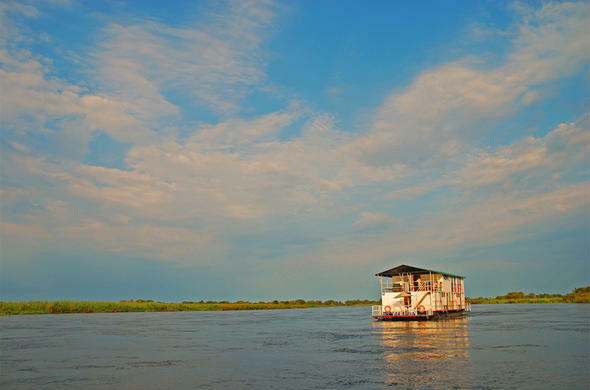 The Okavango River rises in the highlands of Angola via a collection of streams that flow into the Cuito and Cubango Rivers. These two rivers merge on the plains of southern Angola to form the Okavango River which then moves through the Caprivi Strip of Namibia into Botswana where it widens between two fault lines, before finally pouring into the Okavango Basin.Where the Okavango River enters Botswana it widens onto a wide floodplain formed by two, almost parallel, fault lines that lie below the sands of the Kalahari Desert, before spilling over the Gumare fault to form the legendary Okavango Delta. But it is the Panhandle area that is becoming a must-see destination for travellers to Botswana.Long ignored due to the attractions of the wildlife-rich regions of the Chobe and Okavango regions, the Panhandle was visited only by fishermen and birders, and a smattering of inquisitive safari-goers, but today more and more people are finding that a Botswana safari is not complete without a visit to the Okavango Panhandle. Aside from been one of the best fishing areas in Africa, the Panhandle is regarded as the top birding spot in the country, with more than 400 species recorded in the area. Big game may not be as prolific here as in the other parks of Botswana, but there is a definite increase in sightings as the people of the area realise the potential of photographic safaris to the area.The land along the Panhandle is mostly rural, with villages and settlements dotting the landscape. Village visits to experience Botswana rural life are offered from the many camps and lodges in the area. Due to the limited tourism in the past, the village visits still showcase the area as it has always been, untainted by mass tourism.Aside from the scenic and cultural attractions of the area, the Panhandle is the perfect location from where to explore the legendary Tsodilo Hills, the spiritual home of Botswana's first people and the place where some believe is the birthplace of mankind. 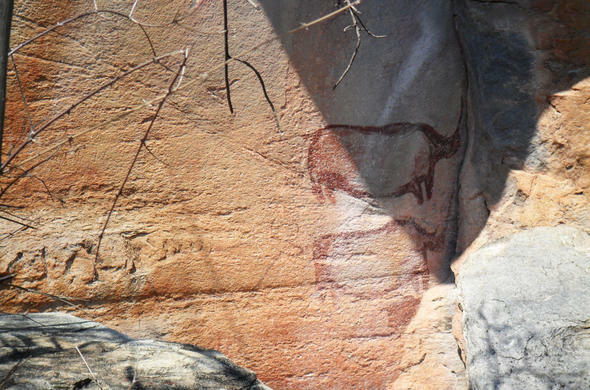 The Tsodilo Hills are shrouded in mystery and intrigue and are a must-see for any traveller to Botswana. In the past the roads to the Hills were horrific, making the journey a nightmare and keeping visitors at bay, but today there is well-kept gravel road that allows the journey from the Panhandle to the Hills to be done in under an hour.